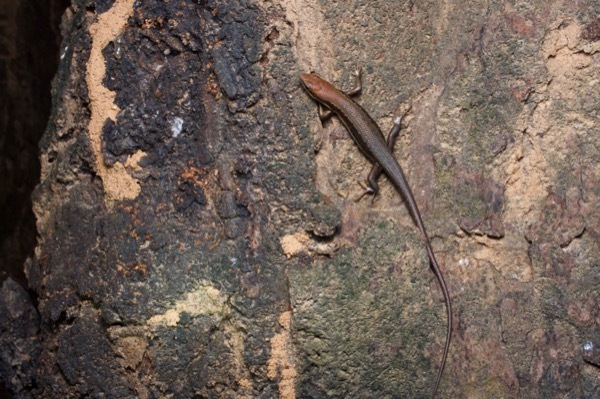 This small copper-and-brown skink was climbing a tree trunk at night, as if it were a friggin' house gecko. Dr. Adam Leaché identified it simply as "Trachylepis sp.". There are several candidates, which can't be distinguished from a single photo of this nature. 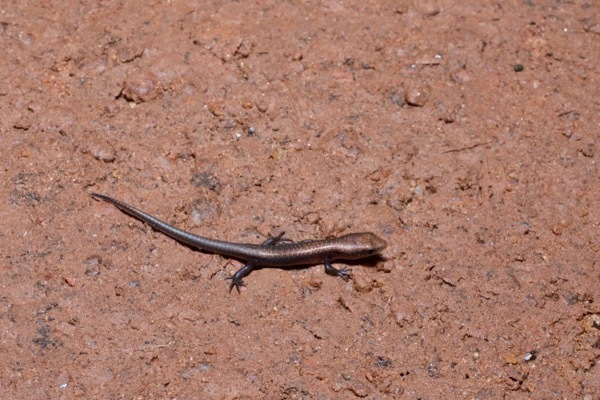 This teeny tiny skink crossed the dirt road later that night. 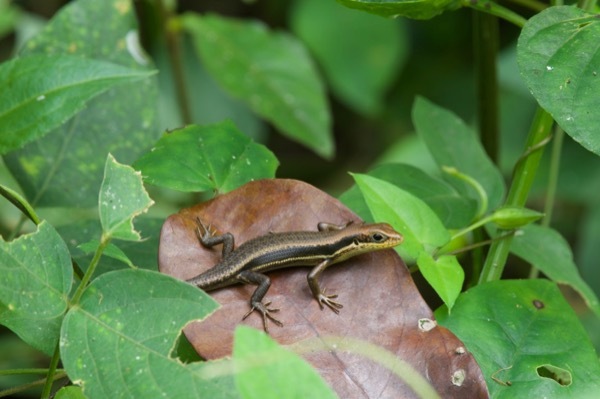 The color pattern is similar enough to the previous skink that I can imagine it's a juvenile of the same species. Dr. Leaché would only admit to it being another "Trachylepis sp." 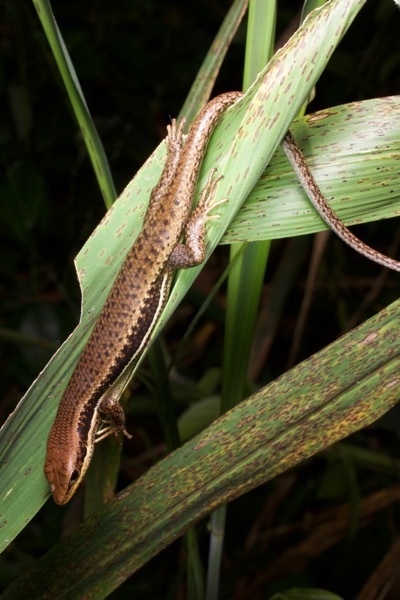 However, another African herp specialist on iNaturalist< thought it was instead a juvenile Mochlus guineensis. I fear it shall remain an eternal mystery. This one lacks the noticeably copper-colored head, though perhaps that is a variable trait even within the species. Whatever the species is. I suggested this might be Trachylepis albilabris, and Dr. Leaché countered with "maybe maculilabris". This one, unlike the first two above, is doing what most sensible skinks do at night — sleeping. Looks likely to be the same species as the previous one. Dr. Leaché just called it "Trachylepis sp."